Maximize the Revenue with a Leading Technology. 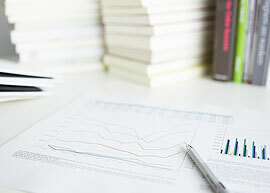 The purpose of this Policy clarify the basic policies of for ensuring the appropriate and safe management of personal information gathered from customers for Company operations related to the revenue maximization platform for online media and marketing support services for advertisers and ad agencies we provide. When we gather personal information, we indicate the purpose of use in advance and gather information via legal and fair means. We use or provide gathered personal information within a previously indicated scope. We will not use gathered personal information outside the scope of the purpose of use. We also shall implement measures to this effect. If we seek to use personal information outside the scope of the purpose of use indicated at the time of acquisition, we will gain consent in advance from the provider of said personal information (hereinafter, Provider). We comply with the provisions of relevant laws, administrative notices, guidelines, etc., when handling personal information. We will not leak or disclose gathered personal information to any third party. However, this shall not be the case when provision is requested by an administrative authority in accordance with law and we have gained consent in advance from the Provider. We work to ensure that acquired personal information is accurate and up to date within the scope necessary to achieve the purpose of use. We respect the Provider's rights related to personal information and shall respond quickly to any requests, complaints, or consultations from Providers regarding personal information, including for disclosure, revisions, or the stoppage of use. We conduct the strict management of personal information and implement appropriate safety measures to protect personal information from unauthorized access, leaks, loss, damage, or destruction. We conduct necessary employee supervision, training, and education to ensure correct handling of personal information. To ensure the protection of personal information, we shall construct a personal information protection management system and conduct regular audits to maintain and improve this system. Security management measures and other specific measures related to this Policy shall be set forth in the basic regulations for personal information protection. We shall inform employees of personal information protection guidelines in accordance with the provisions outlined in management regulations. Geniee, Inc. defines personal information as information related to an individual that can be used to identify a specific person by referencing the name, date of birth, or other descriptions contained in said information (including information that can easily be cross-referenced with other information to identify an individual). Geniee, Inc. gathers and uses personal information for the following purposes. To request payment of usage fees for services operated by Geniee, Inc.
To process system utilization compensation payments for services operated by Geniee, Inc.
To conduct the hiring of candidates for employment at Geniee, Inc.
Geniee, Inc. shall not handle personal information beyond the scope required to achieve the purpose of use without receiving prior consent from the individual. Even in cases where we acquire personal information as the result of a merger or other reasons, we will not handle personal information beyond the scope required to achieve the purpose of use prior to said merger, etc., without receiving prior consent from the individual. However, this shall not apply in the following cases. Geniee, Inc. conducts the appropriate gathering of personal information and does not gather information via fraud or other inappropriate means. Geniee, Inc. implements appropriate measures to ensure that user personal information is accurate and up to date. We also ensure the appropriate and secure management of user personal information. 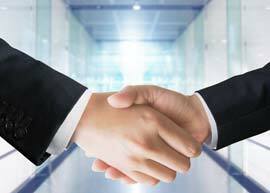 When Geniee, Inc. will consign all or a portion of the handling of personal information, we will conclude an agreement with subcontractors that includes a confidentiality clause or require consent to an agreement outlined by Geniee, Inc. Furthermore, we will conduct necessary and appropriate supervision to ensure personal information security management by subcontractors. Excluding cases outlined below, Geniee, Inc. will not disclose personal information to a third party without prior consent from the individual in question. 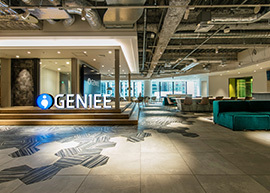 Geniee, Inc. may consign, in accordance with laws, etc., and limited to the extent required to fulfill the purpose of use, all or a portion of the handling of personal information to a third party in a foreign country. Currently, the relevant consignee is a Geniee, Inc. Group company located in Vietnam. In the case of the following, Geniee, Inc. shall bear no liability whatsoever in relation to the third-party handling of personal information. Geniee, Inc., through the various services we provide, gathers and uses the following data to the extent that it is not defined as personal information. The use of this data, etc. includes use for the distribution of behavior targeting-based ads defined in the following article, provision to third parties, as well as use for the provision and improvement of Geniee, Inc. services. The viewed ads and pages, gender, occupation, age, etc. of users viewing or using Geniee, Inc. websites or applications, or those of Geniee, Inc. partner companies as well as the time of use, usage method, usage environment, and other information related to the use and viewing of pages and advertisements. Geniee shall store and save the above data as necessary for operations. Geniee, Inc. provides behavior targeting-based ads. Behavior targeting-based ads refers to advertising services that use user website and application browsing history, EC website purchasing history, and other behavior history information to distribute targeted ads. Ad history information does not include information that enables the identification of a specific individual. Persons who do not wish to receive behavior targeting-based ads may click on the following URL to follow procedures to disable such ads (hereinafter, "Opt-out"). Personal Information Protection Supervisor: Yoshinori Inoue, Manager, R&D Division, Management Information Systems Development Dept. When you register for and use our services, we collect the information that you provide to us, such as your name, email address, phone number, date of birth and language. When you use our services or our third-party partners’ services, we may collect the following information of you. Information about your activity on web pages or apps visited or used. We do not passively track your activity but only receive information about your activity in connection with requests specifically made to our system to serve you an ad, measure your interaction with an ad or to place you into an interest-based category for future use by a client to help make the ads they show to you more relevant. Information about ads served, viewed or clicked on, including the type of ad, where the ad was served, whether you clicked on it and whether you visited the advertiser's website or downloaded the advertiser's app. Information about you or inferences about your interests that a third-party partner has collected about you and shared with us such as information about your interests or demographic information (your age or gender) or to help make the ads served to you more relevant. For clarity, we do not independently collect information about your interests or demographic information for use within our system, but we do allow our third-party partners to utilize their own data or third-party data they have access to in connection with the services. Information about your internet service including information about which Internet Service Provider (ISP) is used by you. To provide, maintain and improve various services operated by us and to provide information related to said services. The legal basis for the processing pursuant to this item is Art. 6 para. 1 (b) General Data Protection Regulation (Regulation (EU) 2016/679 of the European Parliament and of the Council of 27 April 2016 – “GDPR”). We also may permit our third-party partners to set cookies and use web beacons and similar technologies within our services to help us perform various internal functions necessary to operate our business and to collect information about your use of our and others’ services across your devices. We and these third parties may use that information to provide you advertisements, across the Internet and mobile applications and devices, about goods and services that may be of interest to you.The legal basis for the processing pursuant to this item is Art. 6 para. 1 (f) General Data Protection Regulation (Regulation (EU) 2016/679 of the European Parliament and of the Council of 27 April 2016 – “GDPR”). You may have the right to object, on grounds relating to your particular situation, at any time to the processing pursuant to this item. To exercise this right you may at any time contact us as provided for in Section 8 below. you may have the right to object, on grounds relating to your particular situation, at any time to such sharing. To exercise this right you may at any time contact our European representative as provided for in Section 8 below. When we do not obtain your EU Personal Data directly from you, we obtain such data from the Internet publishers which you accessed to. （1）We will store the information you provided to us until you contact us to erase your information. （2）We will store the information we collect or receive until the default setting term of the browser you are using. e.	to lodge a complaint with a supervisory authority. Data protection officer: Yoshinori Inoue, Manager, R&D Division, Management Information Systems Development Dept, Geniee, Inc.